The world’s newest airliner, the Airbus A350 XWB, will make its first demo tour of China between June 25th and July 2nd. During the eight day trip, A350 XWB test aircraft MSN2 (Manufacturer serial number) will fly to Beijing (PEK), Shanghai (SHA), Guangzhou (CAN), Haikou (HAK) and Chengdu (CTU). The tour follows the A350’s endorsement by China Eastern Airlines who ordered 20 A350-900 aircraft in April 2016. Air China also ordered 10 A350-900. The unrivalled operational performance and cabin comfort of the A350 XWB will give Chinese airlines a competitive edge and to attract more passenger on international routes. China is one of the fastest growing markets for air transport and Airbus has supplied 50 per cent of the in-service commercial aircraft fleet in China. Chinese aviation industry has made important contributions to the development and making of the A350 XWB. Airbus (Beijing) Engineering Centre together and its partner Aviation Industry Corporation of China participated in the programme’s development, involving specific design work for the airframe. Some five percent of the airframe is manufactured in China. 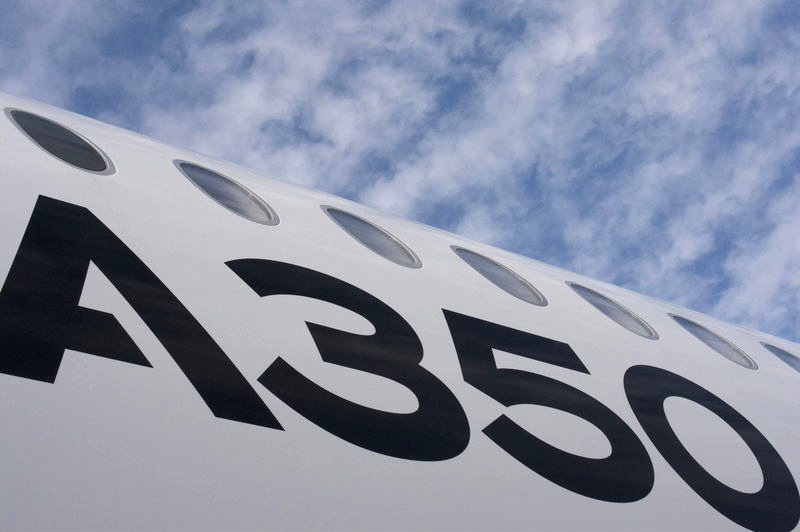 The A350 XWB is a symbol of strategic industrial cooperation between Airbus and China’s aviation industry. Featuring a distinctive “Carbon” signature livery to reflect its primary construction from advanced materials, the MSN002 is one of Airbus’ fleet of five test A350-900 aircraft and one of two with a fully functional cabin (42 business class and 210 economy class seats). The flights will be operated by Airbus flight crews. The A350 XWB features the latest aerodynamic design, carbon fibre fuselage and wings, plus new fuel-efficient Rolls-Royce engines. Together, these latest technologies translate into unrivalled levels of operational efficiency, with a 25 per cent reduction in fuel burn and emissions, and significantly lower maintenance costs. The spaciousness, quietness, beautiful interior and ambient lighting in the cabin contribute to superior levels of comfort and well-being, setting new standards in terms of flight experience for all passengers. To date, Airbus has recorded some 800 firm orders for the A350 XWB from 42 customers worldwide, already making it one of the most successful widebody aircraft ever.